Breathtaking views across ocean, 4 islands, harbor, and city are just the beginning! This quiet, five-acre private paradise, with majestic palms and tropical gardens, holds a commanding position above Montecito and stands as bold as the statuesque Santa Ynez Mountains to the north. 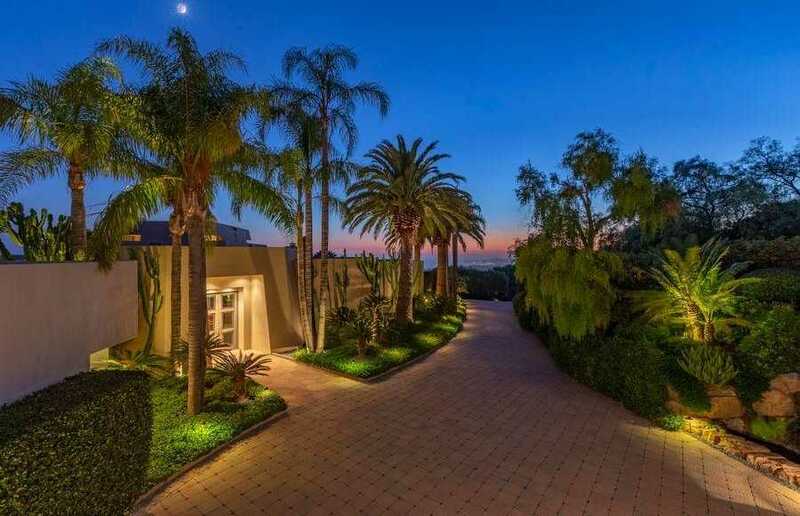 Within the striking contemporary residence there is over seven thousand square feet of air-conditioned space, with five bedrooms and five and one half baths, many featuring granite floors, granite fireplaces and mirrored glass walls. The first floor master bedroom has two baths, and the fifth bedroom could easily be a library/media room. Lots of storage, three-car garage plus a carport. In addition there are expansive deck patios, two waterfalls, infinity pool with pool cabana, lawn, rose gardens, orchard, putting green, & tennis court. There is a private well in addition to Montecito water. Please, send me more information on this property: MLS# 16-3778 – $6,400,000 – 2775 Bella Vista Dr, Santa Barbara, CA 93108. I would like to schedule a showing appointment for this property: MLS# 16-3778 – $6,400,000 – 2775 Bella Vista Dr, Santa Barbara, CA 93108.